TAG Engineering Services Ltd. was established in Redditch in 2003 by Graham Roberts and Tony Clifton. The aim was to provide customers from varied industrial sectors with a reliable high quality service. This is achieved by the day to day running of the company being controlled by the Directors who own the company. The Directors believe a highly skilled and dedicated workforce is the key to ensuring customer satisfaction. 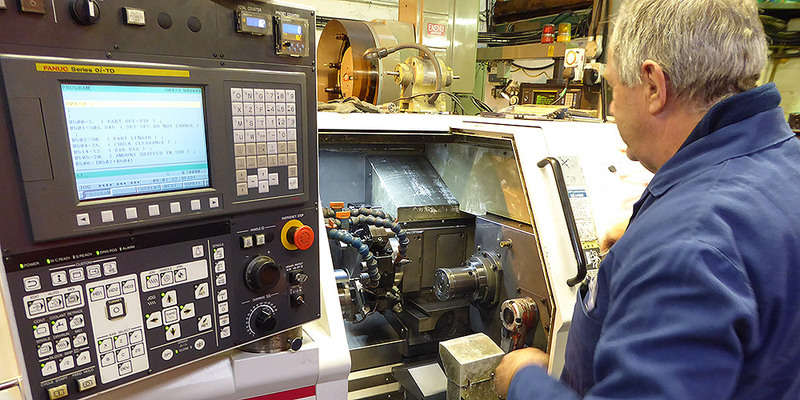 During the past few years we have invested a significant amount of time and money in setting up a machine shop able to meet our customer’s needs. TAG Engineering Services Ltd is a progressive company that aims to continually improve manufacturing practices and seek out new market areas through the willingness to adapt and change. Each stage of production, including finishing, assembly and shipment, is closely monitored. Our expertise lies in tailoring a manufacturing solution to each client's needs. Using skilled staff with years of combined experience together with a sharp customer focus, we can produce a cost-effective solution. From the beginning, the Directors philosophy has been to focus upon quality above all else; not just in the work produced but also in the staff employed. At TAG Engineering Services Ltd we are committed to improving standards and developing technology. In August 2006 we were awarded ISO 9001:2000 status. During the process of attaining this award we have achieved reduced lead times, meaning our customers enjoy high quality components manufactured and delivered to meet the most demanding of schedules with the utmost efficiency.